We are offering a full year of music on the lawn and in the Cameron-Masland mansion. June, July, August, and September are first-Sunday lawn concerts. The lawn concerts are free, but donations are kindly accepted and we encourage you to sign up as a member of the Friends of Kings Gap. Bring your lawn chair or blanket to the top of the mountain and settle in for an evening of music at its best. The view will be spectacular. Food vendors will be ready to serve you. All spring and summer concerts begin at 3:00 p.m. and end at 7:30 p.m. Don't worry if rain is in the forecast; the concerts run rain or shine! October's Garden Harvest Day includes a small concert amid great family activities and craft vendors, and as the cool weather moves in, we move music into the mansion for November's Evening of Jazz (a ticketed event) and December's Coffee House and Open Houses. Performers are listed in order of appearance. 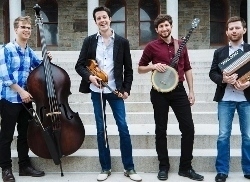 Baltimore-based roots group Charm City Junction puts a new spin on old-timey music, carrying the torch of fast-picking bluegrass and toe-tapping Celtic music. Featuring fiddle, clawhammer banjo, the button accordion and upright bass, this quartet isn’t afraid to take roots music to new places — but always with an eye on tradition. Charm City Junction creates a fresh soundscape that keeps listeners on the edge of their seats wondering where they'll go next. The band is comprised of four of the most talented and promising young acoustic roots musicians in the country: Patrick McAvinue on fiddle, Brad Kolodner on clawhammer banjo, Sean McComiskey on button accordion and Alex Lacquement on upright bass. Charm City Junction will be joined by members of the Ken & Brad Kolodner Quartet. Learn more about Charm City Junction and visit them on Facebook. 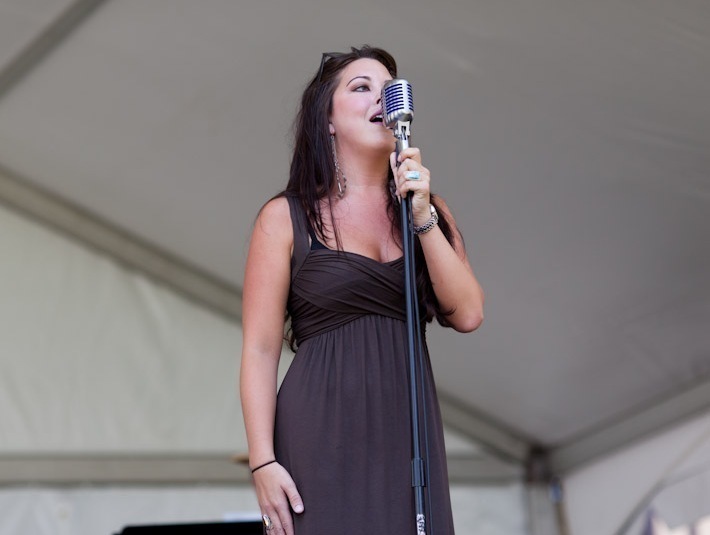 Erica Lyn is a singer – songwriter with a true love of jazz and blues, She is excited and grateful to be performing and working with a variety of wonderfully talented musicians and sound engineers. “I have been given a gift from God, and I am thankful to be able to be doing what I love. Music is my soul and inspiration, and having been given these opportunities to grow and learn from the talented people that have come into my life is a true blessing.” Erica Lyn and her band have been performing regularly at venues throughout Central Pennsylvania and look forward to the future. Learn more about Erica Lyn Everest and check her out on YouTube. 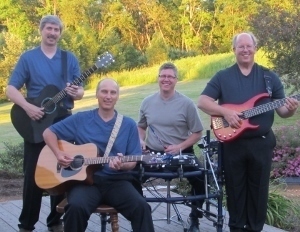 Second Time Thru is a classic rock band featuring bass, drums, two acoustic guitarists and four-part harmony. Their sound is easy on the ears and can soothe your soul with some of your favorite tunes and get you dancing and rocking with some tunes you might not expect from an acoustic-based band! Second Time Thru is so-named because this band reconnects us to the music of our youth. There was something special about the decade from 1965-1975—it was really the sweet spot for rock music. Not all of their songs come from that time, but they try to capture the energy and spirit when rock was blossoming in all of its possibilities. Learn more about Second Time Thru and visit them on Facebook. 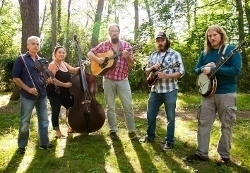 Specialists in traditional bluegrass music from the pioneers such as Bill Monroe, Flatt and Scruggs through the second generation of grassers like Seldom Scene and the Country Gentlemen and on to the contemporaries such as Ricky Scaggs and Kentucky Thunder. These musicians can be proud of their four-part harmonies and tight instrumentation, which is consistent with all generations of bluegrass music. 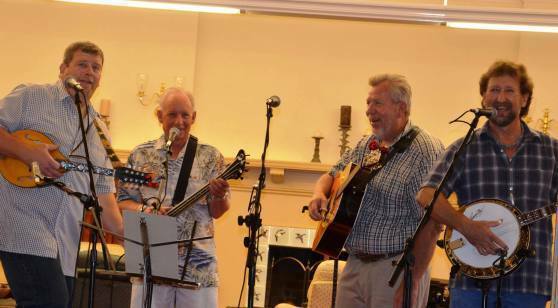 The group was founded and is fronted by Don Bailey (singer/banjo player) and is rounded out by Calvin Ott (singer/guitarist), Bob Arbogast (bassist), and Brad Bell (mandolin). Visit Bailey's Crossing on Facebook. In just three years, Mountain Ride evolved from playing traditional bluegrass, to writing, recording, and performing their own original music. Eric Avey (guitar) and Kate Avey (bass) started Mountain Ride as a side project to cure their bluegrass bug. Once Scott Matlock (violin) and Corey Woodcock (banjo) joined the ranks, things started to sync up. When Chance Hurley (mandolin) jumped on board, there was no denying that they had something special. So now, celebrating the release of their third album One Place To Go (October 27, 2017), Mountain Ride is original Pennsylvania bluegrass. Learn more about Mountain Ride and visit them on Facebook. Seasons is comprised of the siblings Mary-Kate Spring, Peter Winter, Mary-Teresa Summer, Mary-Grace Autumn, and Mary-Clare Chun Lee. The Lee siblings seek to not only pay homage to the rich tradition of Celtic and American Folk Music that they grew up in, but also to treat it as a living, breathing entity that can and should be expanded on. The result is a constantly growing collection of songs that are all at once both fresh and familiar. Learn more about Seasons and visit them on Facebook. Featuring award winning instrumentalists and dancers, the Celtic Martins from south-eastern Pennsylvania have been entertaining audiences for well over a decade with their high- energy, fiddle driven Celtic music and Irish dance. Their creative upbeat arrangements based on original and centuries-old traditional Irish, Scottish, Cape Breton, French Canadian, and Americana tunes, are joyful and infectious, leaving listeners with both a sense of satisfaction and a desire for more. Their shows also feature Irish step dancing by the Martin sisters, always a crowd favorite. The Celtic Martins is truly a family band. 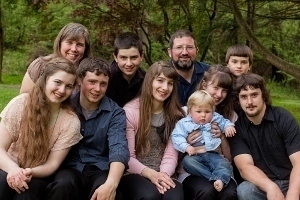 The six Martin siblings each began their musical career with the fiddle around the tender age of 5, branching out over time to other instruments, including Irish whistles, bagpipes, guitar, accordion, cello, percussion an vocals. They are joined by their parents and brother-in-law on guitar, bass and drums. Learn about The Celtic Martins and visit them on Facebook. During the Garden Harvest Days event, we presented Indian Summer Jars who honor styles of folk, blues, bluegrass, and gospel, creating a sound that is unique and upbeat, dynamic and bold. 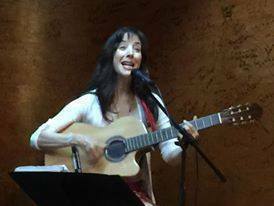 ISJ provides high energy performances with harmonies and vocals reminiscent of Indigo Girls and Natalie Merchant, and with creative guitar tunings and strong, earthy rhythms, ISJ brings you uplifting songs inspired by travel, experience, growth and change. There is no doubt this music will stir your soul! Learn more about Indian Summer Jars and visit them on Facebook. Steve Rudolph has had an inspiring career in his 40 years of professional music making. 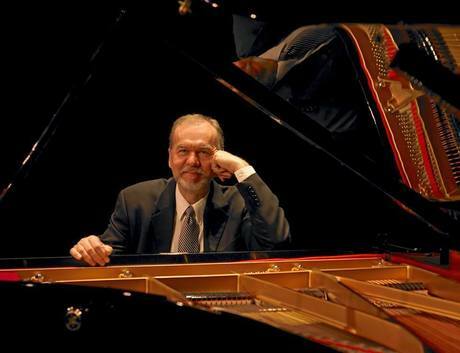 Jazz Improv magazine states, “Rudolph is a savvy, swinging, glimmering heavyweight… ...simply outstanding.” The winner of the Jazziz Magazine Piano Competition at the Seven Springs Jazz Festival in 2000, he was also awarded two Jazz Composition Fellowships from the PA Council on the Arts. He has served as producer, arranger and performer on many recordings, including CDs with Johnny Coles, Bill Goodwin, Ali Ryerson, Matt Wilson, and Vinny Valentino. His vast experience encompasses concert performances with many jazz masters including Louie Bellson, Clark Terry, Terry Gibbs, Rufus Reid, Buddy Tate, Al Grey, the Mills Brothers, and Cal Collins. Since moving to Harrisburg in 1978, he has been largely responsible for the growth and development of the thriving jazz scene in Central PA. His devotion to the art of jazz inspired him to found the Central PA Friends of Jazz, which boasts over 30 successful seasons of monthly concerts, youth band, jazz camp, and the annual Central PA Jazz Festival. Steve was the recipient of the 2002 Harrisburg Arts Award for dedication to the arts and community service. Tickets for this event must be purchased in advance. Contact June Morgan by email or call (717) 377-7468 for more information and to purchase tickets. 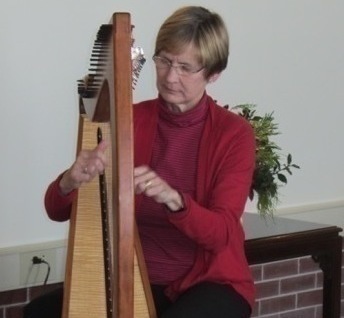 Patricia Putz, harpist, performs seasonal favorites on the lever harp. Pat is a founding member of Friends of Kings Gap and served on the board as chairman of the music committee for multiple years. During her tenure and with her direction, Music on the Mountain was conceived. Pat is a retired elementary music teacher and currently works as a therapeutic musician for a local hospice. She is an avid hiker on the trails of Kings Gap. 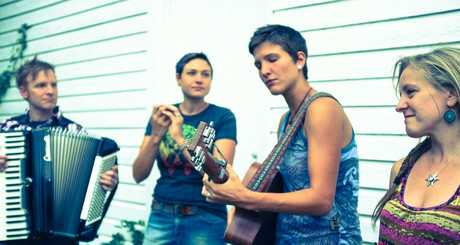 Joanna Roberts (far right in the photo) studied cello from elementary school through college. Her most formative teacher in high school and college was Henrietta Voyvodich, a cellist with the Pittsburgh Symphony. After beginning a career as a lawyer and becoming a new mom, Joanna resumed occasional lessons with Barbara Lewis and eventually studied Suzuki Teacher Training with Annette Costanzi, noted London-based Suzuki Teacher Trainer with the Suzuki Association of the Americas and frequent teacher at summer Suzuki institutes through the Central Pennsylvania Suzuki Association. Joanna has appeared in performances with the local Celtic band Seasons and with students and friends in local venues. 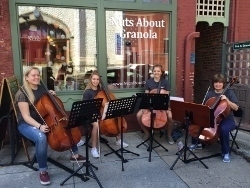 For this performance, she will be joined by her dedicated student, Jessica Rainey (far left in the photo), who began cello in middle school and is now a high school freshman. Jessica has mentored younger students in the studio and appeared as a performer both in studio concerts and as a duet artist with Joanna. Learn more about Joanna Roberts.